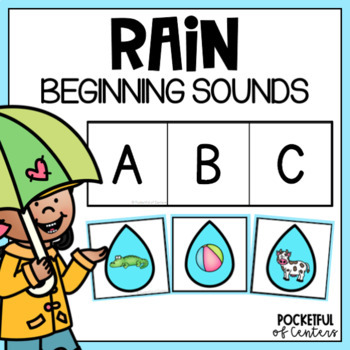 Practice letters and beginning sounds with this fun Spring literacy center. This activity is perfect for small groups, learning centers or individual practice. Students will spread the letter cards out on a table. Next, say the name of each picture on the raindrop. 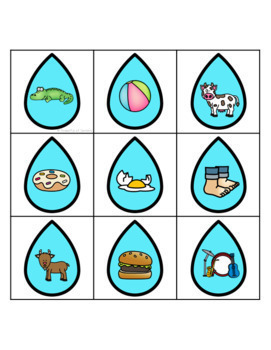 Place the raindrop card on the matching letter. 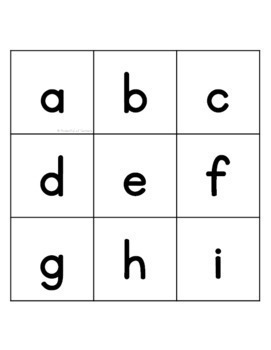 Do this for every letter from A to Z!